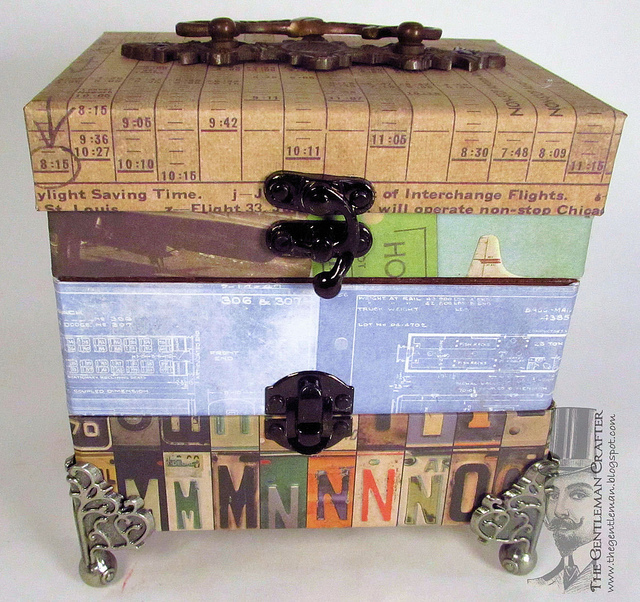 Hope the day is starting well for you...Last night on the Ustream show we worked on the tiered traveling box. Perfect to hold all kinds of things. 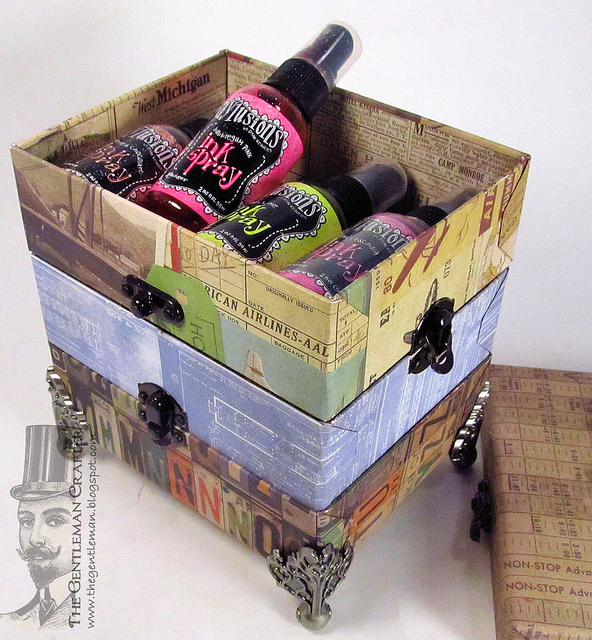 I made this one to hold my Dylusions Spray inks. Thanks for coming by last night! Appreciate you being there! I had fun... hope you did as well! Hey I love it when your posts pop up while I'm cruising around online. This box is fantastic and could be used for so many things. Fun class last night. Thank You. I love this box. Will there be instructions and dimensions here. I only watched an hour last night, but you are a stitch! Loved it! Jim, u-stream last night was so much fun, I can always count on you to entertain me even if I'm in a funk, you know how to pull me out of it. The finished box is FABULOUS!! That paper is perfect for this, love it. This box is great . . . You Rock! Sorry I was out yesterday so couldn't follow the stream - but this is a fab storage chest for the sprays. Fantastic!! I enjoyed last night's show...even with the Ustream "issues". Love the box and hope to start on it today. I'm thinking I'm going to need an extra tier to hold the new Dylusions sprays. Thanks for posting close-up pictures of the box. Fabulous box! I'll watch the recording when I get a minute. Missed my 1st of your Ustreams but I'm in the throes of the final countdown before a half dozen of my Dutch relatives come to visit. Somehow that became a mini remodel of 3 bedrooms. If I have to paint another piece of trim, I'll scream. I had to make a run to Ikea last night and mine is sadly not right by work. Lol. Off to unload my car. I'll do my darndest to be there next week. Love the box. I am not able to view the Ustreams right now. Once back home I do plan to tune in. Hope you will post measurements of the box. Thanks. 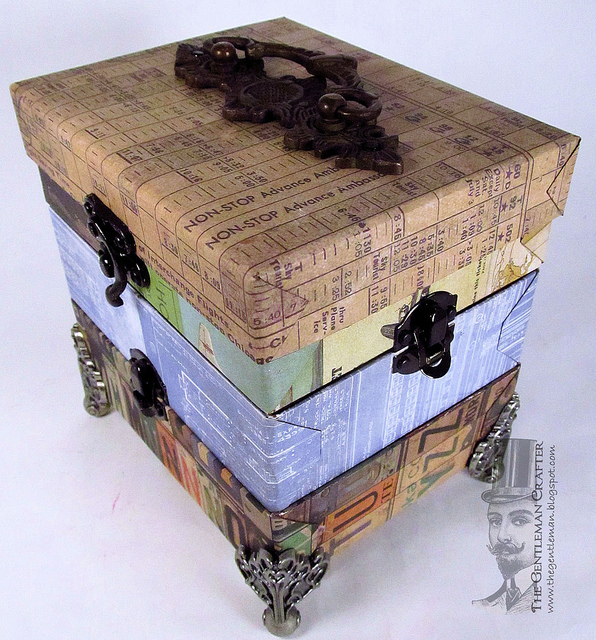 fab and stylish storage! WOW! Drat it! Those durn Tuesday meeting are mucking up my crafty life! Had to miss it AGAIN! ! Oh, and what will you do when Dyan comes out with more colors? Add tiers in the middle? That would be soooo cool! Hi Jim, That box is awesome. Love your ideas. Way Cool! Thanks for sharing it! Hi Jim. Love the box. Sorry I missed your show last night but I fell asleep. I will definitely watch the recording. Just finished putting the final touches on my Greeting Card Organizer. I love that too! thanks so much for sharing. you are always so generous. This box is awesome, but I am really trying hard not to buy the inks. I did have them in my hand the other day while at J's. I might turn it into that seedbox you showed. I have a friend who loves to garden and it would be perfect for her. Thanks buddy for putting up with me! I love it Jim! I can't wait until next week!!! Have a fabulous day!!! Ya' know, Jim, I was scrambling around trying to find a box to fit my sprays just the other day! I did wind up finding one, and then I put all my new Distress Paints in it, so it crowded out some of the sprays. I think I will just make one for my Distress paints! Thanks for the inspiration!